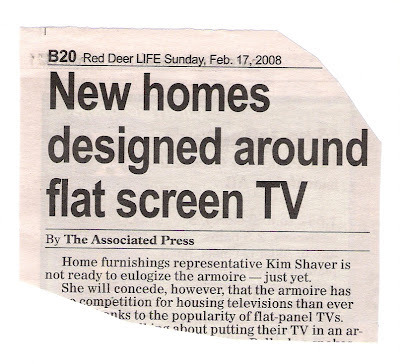 The content of this article proves less than what the title would have us believe. 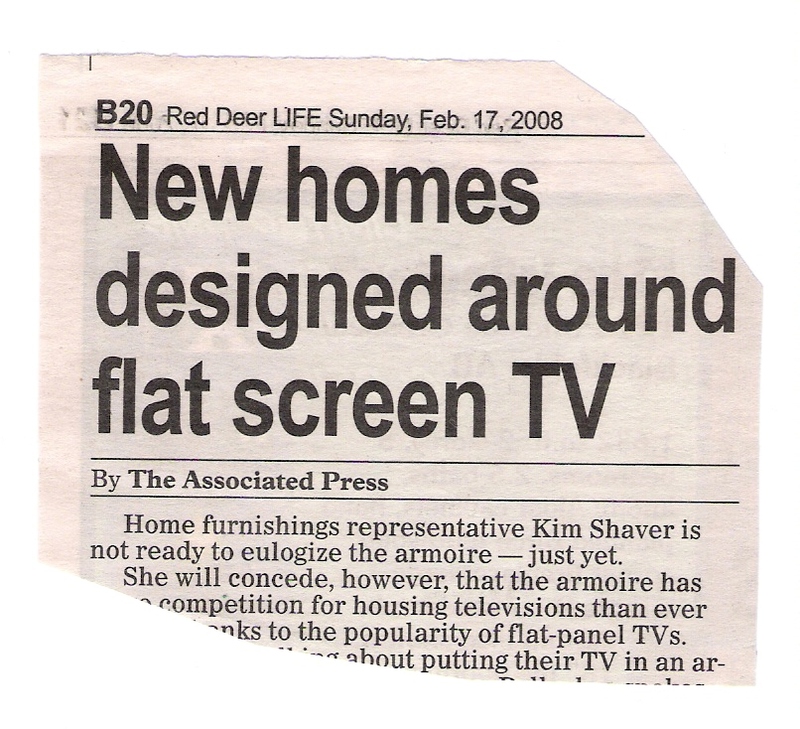 It would be more correct to say that ‘Dens, or some rooms, are designed around flat screen TV.’ But generally speaking, the home-life, if not the house, is designed around the TV. Leisure time revolves around the program schedule in homes all across our country and so many others around the world. With the increasing popularity of the internet, the TV and the computer will probably merge into one. But it will still be true that the home-life revolves around a one-eyed monster from which people are seduced and then sedated into a dreamy state where they aimlessly drift from one image to another as if there were no real life to live and no ultimate reason to make life meaningful. As I walk in the neighborhood in the evening I see the flashes and images from the TV set through the windows and I am in awe that people are content with a virtual reality! In Battle-School we had to sit through lectures on rifle drills and battle techniques. Because we were overtired from all the rigorous training outside, in the classroom we had to fight that hypnotic foe we called the ‘sleep-monster.’ That sleep-monster, if it got us, only had us for a few seconds, until the Master-Corporal barked us back to attention and back into the real world. The TV is a kind of sleep-monster. And many do not fully wake up from its valium effect their whole life through! But with what consequence! There is a verse in Romans that contains the words, “It is high time to awake out of sleep” (13.11.) In his application of this verse to the unconverted, M’Cheyne the preacher says, “Oh sinners! you are fast asleep, you are lying dormant—dead. O, sleepy souls! it is high time you should awake…You are living in a dream. Every Christless man will find at last that he has been dreaming…And is there no pleasure in a dream?…But, ah! you must awake…Now unconverted men, you are taking a sleep; but…you will awake from a bright dream to a bitter reality.” What he’s getting at is that people live as if life is but a dream when the reality is that there’s an angry God to be reconciled to through Jesus the Mediator while there’s still time! Are you acquainted with any of this? Is your soul not worth enough that you should look into it before you subject yourself to another hour of mind-dulling television? Snap out of it, man! woman! child! sinner! Some preachers speak of a ‘judicial hardening’ of the heart that may occur after sin has been too much indulged at the expense of knowing God. John Bunyan speaks of one’s day of grace possibly passing by even before one’s life is ended. It is high time to awake! Ask God to wake you up—plead with him for help to do it; you can do that, can’t you? You must do at least that and then dive into the Bible for all you’re worth, for this I know for sure: If you die ‘Christless,’ as M’Cheyne puts it, you will end up in hell where the comfortable dream-state you enjoyed on earth will not be accessible. There in hell you will be awake like never before to sense more sensibly than you ever have. There your senses will be made more alert and sensible than ever before so you can pay as well as a poor sinner can, the payment required for sins committed against a holy, agitated God! Awake! Turn the TV off and look to Jesus!